Turner's TBS has renewed three of the network's most recent hit original comedy series: The Guest Book, People of Earth and Wrecked. All three shows rank among the top 10 cable comedies with adults 18-49 in Live +7, and The Guest Book is cable's #1 new comedy series of the year. The network's summer series join TBS' previous 2017 renewals, including the dysfunctional family comedy The Detour and police procedural spoof Angie Tribeca. Nuñez, Michael Cassidy, Alice Wetterlund, Luka Jones, Brian Huskey, Nancy Lenehan, Tracee Chimo, Da'Vine Joy Randolph, Björn Gustafsson and Ken Hall. In season two of the hit survival comedy Wrecked, pirates invade the island. This is bad news for Danny, Owen and the other stranded airline passengers, who've only recently recovered from the loss of wi-fi, indoor plumbing and Steve's attempted takeover of the island. Season two stars Asif Ali, Zach Cregger, Rhys Darby, Brooke Dillman, Will Greenberg, Jessica Lowe, Ally Maki and Brian Sacca. 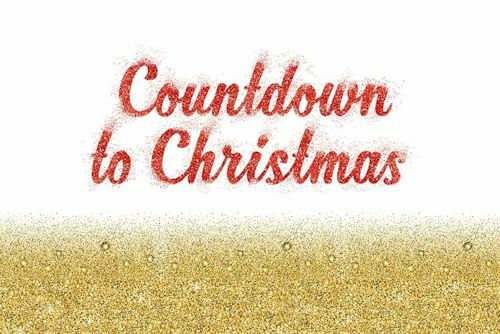 Everyone needs a happy place and Hallmark Channel offers viewers the perfect escape with the network's premier programming event, "Countdown to Christmas." The annual, 24/7 holiday programming schedule showcases a record 21 new, original holiday premiere movies that are sure to help even the biggest Scrooge recapture the Christmas spirit. From Friday, October 27, until Sunday, December 31, audiences will be able to immerse themselves in feel-good holiday fare throughout the season. Even as the temperatures drop around the country, viewers will be reminded that true love can still burn brightly - even when it's freezing. Whether a returning favorite from holidays past or brand-new yuletide offering, Hallmark Channel's schedule is brimming with tales of love, family and joy. Returning to spread Christmas cheer are Hallmark Channel's "Queens of Christmas," Candace Cameron Bure (Fuller House) and Lacey Chabert (Mean Girls), who have each previously appeared in five original, world premiere Christmas movies for the network. The star-studded lineup leading the new, original movies continues with Catherine Bell (Army Wives, JAG), Lori Loughlin (Fuller House), Alison Sweeney (Days of Our Lives), Danica McKellar (The Wonder Years), Alexa PenaVega (Spy Kids franchise), Carlos PenaVega (The Loud House) and Jodie Sweetin (Fuller House).